You must make reservations at least 5 minutes in advance of the time at Terra Terroir. Lunch: Monday - Friday: 11:30am - 3:00pm; Lunch: Saturday 12pm-3pm; Mon-Sat, Closed 3-5pm (Bar open with limited menu); Dinner: Monday - Saturday: 5:00pm - 10:00pm (Open later on weekends). Closed Sunday. Very ample and easy parking. See our website for regular specialty wine dinners. Terra caters! Please contact us directly for options. A simply amazing surprise: tucked in a Brookhaven shopping center, one would have no idea that the interior is so appealing until stepping inside--as well as the covered patio--and finally top-shelf Bar Terroir. Sommelier Chris Driollet's wine list is a ten-time Wine Spectator Award winner, and Chef John delivers up innovative American Fusion and Continental dishes. This neighborhood charmer keeps getting better with time. 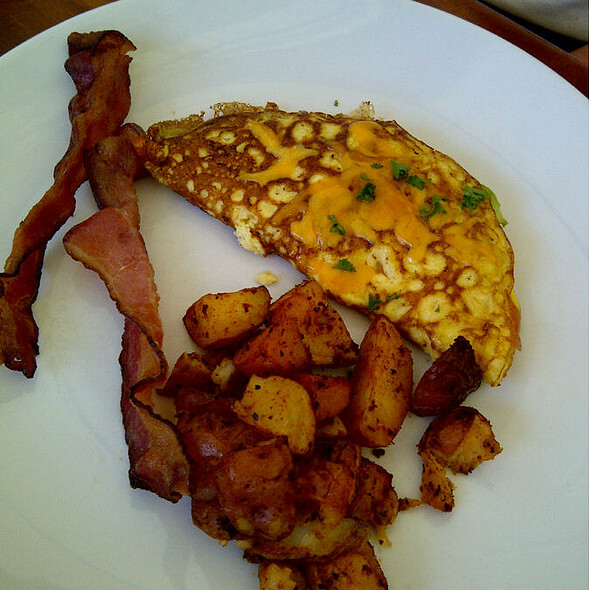 Check online reviews and you will see people don't just "like" this place: they love it. 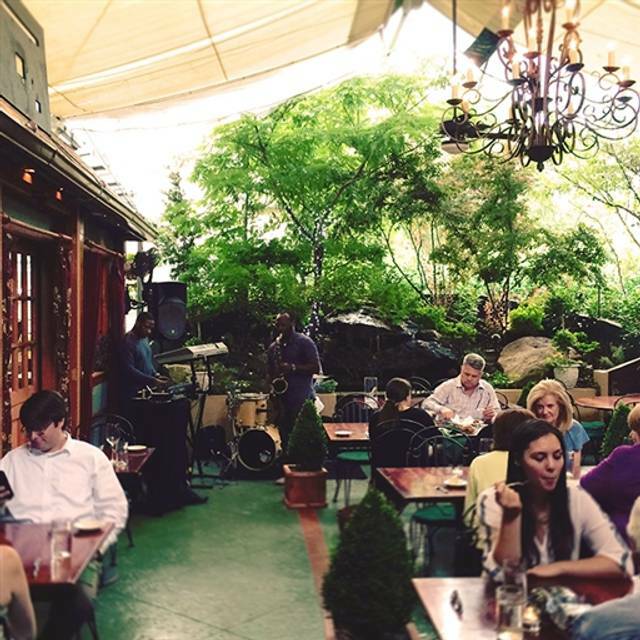 Reasonable pricing, fresh locally-sourced food and the best patio in Georgia. See Wine and Bar Terroir lists for available spirits. GF Indicates a gluten-free item. Please note: food is prepared in a kitchen with gluten items present. If you have celiac or a severe gluten allergy, please let your server know and we will do our best to accommodate you. V indicates a vegetarian-friendly item. * These items may be served undercooked. Eating raw or undercooked meat and fish can increase your risk of foodborne illness. An 18% service charge will be added to parties of 6 or more, as well as to unsigned credit card slips. Reservations at www.TerraAtlanta.com. Patio Reservations for tables less than five are on a first come-first served basis. We had a wonderful dinner. 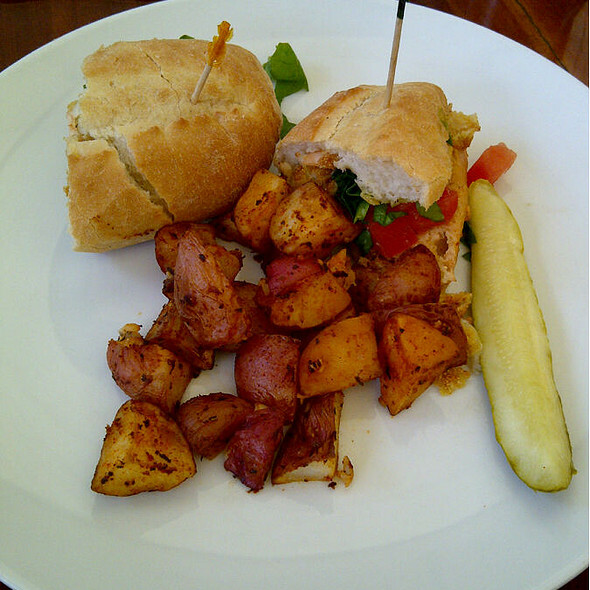 We sat in the solarium and enjoyed delicious food in a relaxing environment. 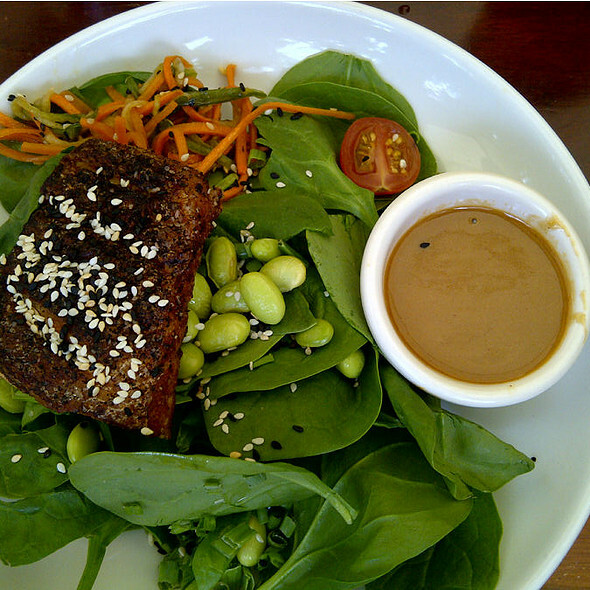 Our server was friendly, knowledgeable and accommodating to our dietary needs. It was the perfect place to meet my birth sister for the first time. The food was delicious & the waitress couldn’t have been nicer - & the back patio room is lovely - just a gem of a find in an ugly shopping center! damn... what a great find. Truly one of the best meals out in a very long time . Dont let the cat out of the bag. Still one of my favorite patios in town and the Brussel sprouts never disappoint. It was a girlfriend's birthday dinner. The service was excellent as was the food...lamb chops, salmon, and sea bass...all recommended! They made my friends feel special and we loved the evening. No complaints and can't wait to return! My favorite neighborhood jewel! Love eating in the heated outside tent! Terra Terroir is one of my favorite restaurants. I was sorry we couldn't get a table on the patio but it was more quiet inside and easier to have a conversation. Great evening and delicious food. 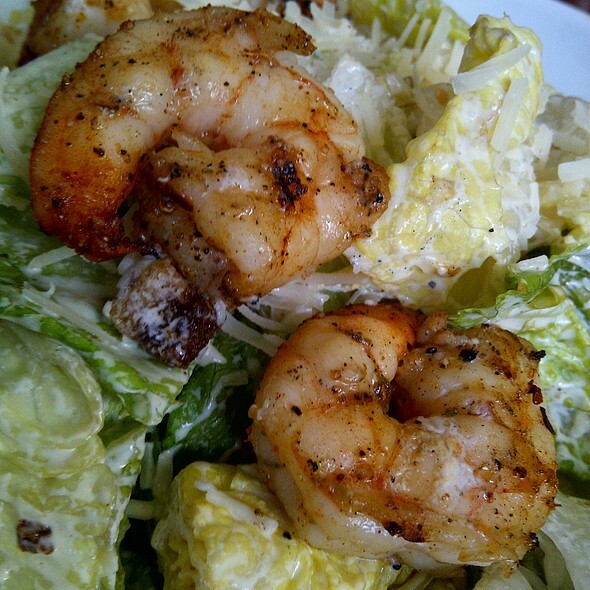 Met friend for lunch and sat on patio outside for delicious lunch - loved the crispy brussel sprouts and you will, too. Convenient, neighborhood gem. Ambience on the patio is wonderful. This text me the patio was full so we had to sit inside. Love the food and usually service is friendly and smooth. Great place for a good time with friends. Great atmosphere and great food. Service was a little slow but still ok. I loved the bar and patio area. It's much bigger than it looks. I highly recommend the salads. Our daughter and her fiance recommended Terra Terroir to us as an excellent "neighborhood" place to eat. No pretense. No nonsense. 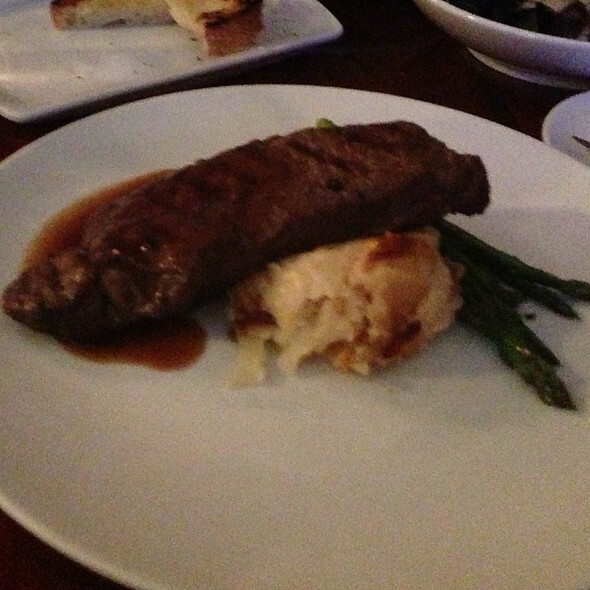 Excellent, well-priced food in a pleasant, welcoming atmosphere. Our waiter was good, until we were waiting to get the check and leave, and it took a long time for him to return with it. Also, we were taking out our friend for her 80th birthday which I had put it on the reservation. It was mentioned several times by the waiter, but nothing special was done: i.e., a dessert?? Brussels Sprouts are delicious! This was my first lunch visit, and it did not disappoint. The sandwiches were all spot-on. Our party of 3 had the lamb burger, chicken/apple salad croissant, and turkey wrap. Each was flavorful and a huge portion size. We love Terra Terroir. The patio has a terrific ambiance. Chris is amazing at steering you to just the right wine. The food is great. Highly recommend this neighborhood gem. Though we didn't get seated in the fabulous garden area this time, we enjoyed a fun drink at the bar. The food was great and the only thing a bit off on this visit was the wait staff seemed to be a bit overwhelmed. They were very friendly and attentive to our requests, but just a few glitches along the way (missing flatware) and longer wait times for a few things. Also, we were seated at a booth near the front of the restaurant and the lighting was way too dim. Could barely read the menu. Thought they should have a complementary dessert for a special occasion. Also, think $20 a bottle is a steep corkage fee! This restaurant is my favorite for lunch and dinner. I love to sit in the tented area that is available 52 weekw a year! Neighborhood gem. Creative kitchen and great for lunch or dinner. We love this place...it is our neighborhood go to for 10+ years. The food is always delicious and the sommelier is the best! He always super exceeds our expectation with the bottle of wine he selects for us! Lovely place to find on a fluke. Will be returning to the awesome garden setting. Online reservation requested quiet, pretty table. Noise level was almost intolerable in front along banquettes not only for me but for my daughters. Banquette seating was way too soft and pushed guests forward. Chair was comfortable. Food was outstanding. Seating in the covered "outside" had beautiful ambiance which was totally lacking in interior room. Food was exceptional, and if guest knows how to request table It could have been delightful all through. If recommending to a friend, it would be with that caveat. Have been going there for years. Food and service never suffer. Bring friends, eat in the back room and enjoy. Love the ambiance in the outdoor seating. Available year round! First time at Terra Terroir. Friendly greeting from host. Chose to sit on enclosed patio which had a very nice atmosphere. Food was absolutely delicious. The appetizers: Lamp lollipops (much bigger than expected), brusell sprouts and deviled eggs were all great. House salad was very good. 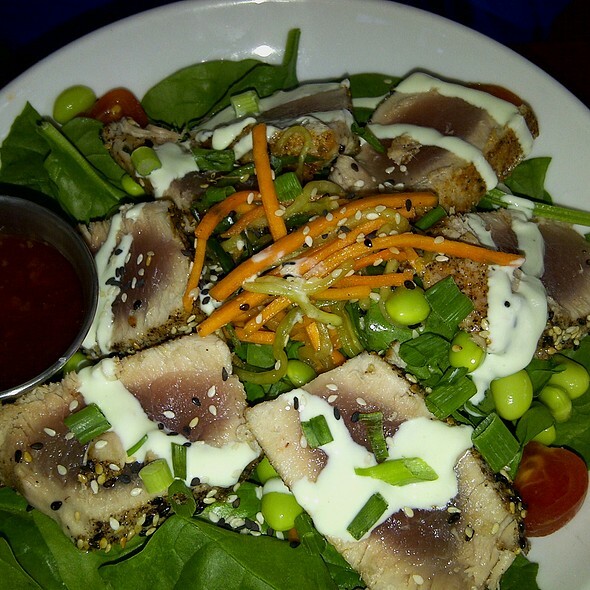 Tuna entree was one of the best cuts I have ever had. Only negative was the service was odd. Took the waitress a long time to take our drink orders once we sat down and had we not asked, she was going to bring the salad at the same time as the main courses. She disappeared for periods of time and only came by when delivering the food. Expected a little better service for these prices. Quaint, nice amosphere and good food. I recommend garden seating - even in the winter. Exquisite food - all the flavors were amazingly scrumptious and superb service! Usually I have a excellent experience! Food is terrific ! Last Saturday night I was a few minutes later than our rsvp just for 2 people and they gave my our table away ~ on the patio ! I loved this sweet little hidden gem. It looks unsuspecting in a strip mall- but immediately when I walked in the door I knew I was in for a treat. Excellent service (Will), wonderful food, perfect ambiance for date night. All things you would come to expect from a fine dining experience. We will definitely be returning during the summer months to sit in the garden-like outdoor seating area. Requested seat in main Terroir. Ended up getting sat in a side section with partial view of main Terroir. Took 15 minutes for a server to say anything to us. Asked for an extra spoon and salt & pepper but they never came. Server was nice. Strange vibe. They seemed understaffed. We had an amazing experience and the staff was incredible. Everytime I go here I am amazed at the service level. Food and atmosphere were terrific as always. As always, the ambience, service, and food were superb. 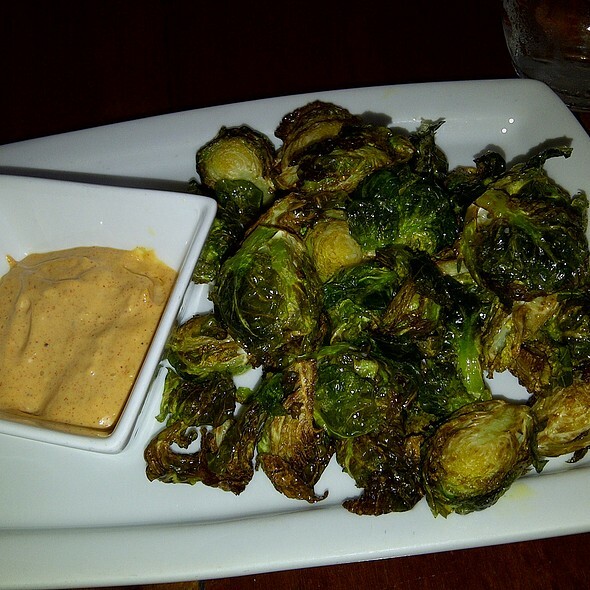 WHEN, you visit; the fried Brussels sprouts should be a shared appetizer. They are incredible!!! All three people, in our party feasted, on the delicious sea bass. Never dine at Terra Terroir on Valentine’s Day. Everything that is wonderful about this restaurant - food preparation, wine list, caring service - was sacrificed for an absolute Valentine’s Day $$ grab. Very disappointed in the ownership for allowing their fine reputation as a local gem to be sullied by their performance on Feb 14. 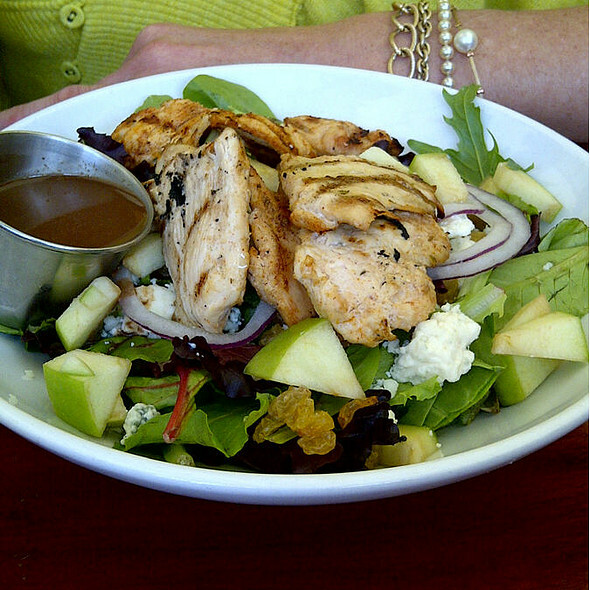 One of our favorite go-to's for lunch. This is a hidden jewel that is just wonderful in any aspect!